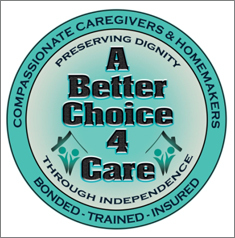 We are a privately owned provider of non-medical Companion and Homemaker services in the Western half of Connecticut. We provide Live-in services, Overnight, Hourly daytime services, Respite care, and Wellness visits. Our goal is to provide quality client service while providing a safe and comfortable environment for our elderly clients to be able to age in familiar surroundings. Our Wellness visits provide a service to check in on your loved one if you are unable to do so yourself. Respite services give relief to family members who may be primary caregivers. Our expertise lies in years of Customer service experience, office management, human resources, and operations. Our Care Coordinator has over 10 years experience managing home care agencies. The Company maintains the philosophy to hire the best caregivers in order to provide the quality services each client deserves and expects. New Haven, Litchfield, and Fairfield Counties in Connecticut.